You can download Mondair Per Chand ( Urdu منڈیر پر چاند) by Asma Qadri free in pdf format. She is writing episode novels in monthly Urdu digests of Pakistan. 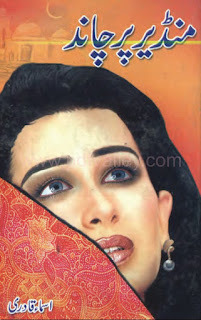 Urdu books readers very like some novels of Asma Qadri like Gardaab, Tu Nay Mera Roop Sanwara.